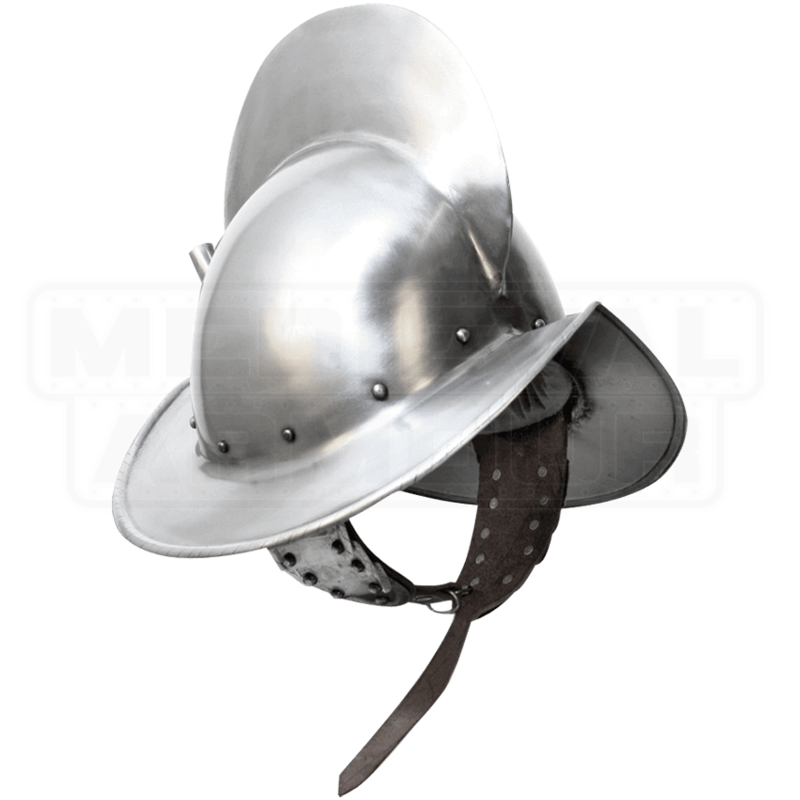 The Alberto Morion Steel Helmet is based on the historic helms often associated with Spanish conquistadors, though foot soldiers across Europe eventually wore it as well. The helmets distinctive crest was intended to strengthen its design and protect the wearer from downward blows. A common combat helmet choice for English pikemen, this style of helmet is still worn today by the Swiss Guard of the Vatican. This handmade steel helmet sports a sizeable brim with a sharp angle at its front. Rivets accentuate the base of the crown. The sturdy leather chin strap is adjustable and features thin steel plates riveted to its outward side, making this historic steel helmet a fantastic addition to armored costume looks and LARP outfits. Authentic in its historic styling, the Alberto Morion Steel Helmet perfectly tops off many early Renaissance-inspired ensembles.